Just Kidding ~ 4.1.1 is Back! For all who donate between now and midnight August 31st, I will match 50% of your donation! That's right! Hit the donation button to the right and I will total up the donations from 8/27 thru 8/31, then donate 50% of the total! 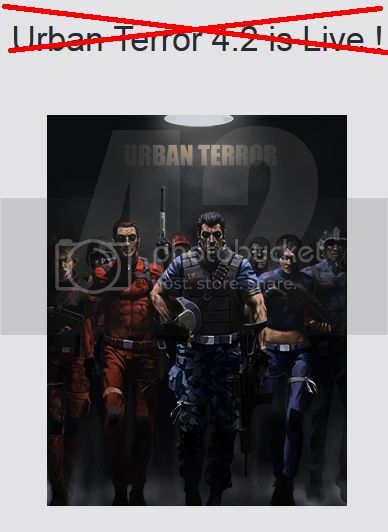 Frozen Sand is pleased to announce that the long awaited beta version 4.2 of Urban Terror is just around the corner with a release date set for August 3, 2012 ! 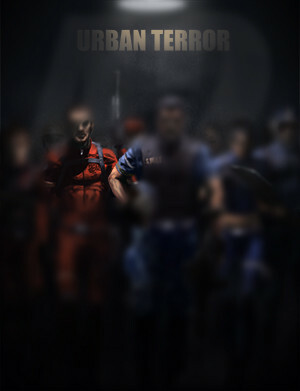 Please note this is an update to the 4.1.1 version of Urban Terror and is not to be confused with Urban Terror HD. This will be a massive update from the current 4.1 version with many additions based on player suggestions and many under-the-hood code repairs, as well as a fundamental redesign of systems directly affecting gameplay that we felt was better to redo from scratch rather than attempting what would otherwise be a patch. • New game type called Last Man Standing. • New and updated maps. • Updated matchmode + fixed a lot of bugs. • Updated player model animations. • Auth system included; Account registration required. • UrTUpdater included; an auto-updater for the game.